EO Adhesive Products Co., Ltd. Set up in 1997, located in Shenyang of Liaoning. We are a professional manufacturer of various packaging tapes. After 20 years of development, EO company has been expanding, and now is China's largest supplier of tape in the north, the products are exported around the world. In 2013, we expanded our line of products which includes a range of products like double sided tapes, Luminous tapes and Teflon tape etc. We not only provide tape products, but also provide a complete set of packaging materials solutions. EO has highly modernized manufacturing bases for its adhesive. EO has highly modernized manufacturing bases for its adhesive tapes. Excellent team of engineers and Advanced production equipment are the foundation for the continuous provision of high-quality products. Therefore, with the superiority of all these technologies, EO is able to rapidly adjust its production according to customer needs. EO has domestic advanced BOPP film production technology and equipment, 10 Professional BOPP sealing tape coating lines,30 plus units of cutting machine, and the Monthly production capacity of 200 tons. Furthermore，EO has a great potential in terms of capital, personnel, technology, equipment, workshops and so forth, and its machinery, automatic and standardized facilities are at an advanced level in the industry. 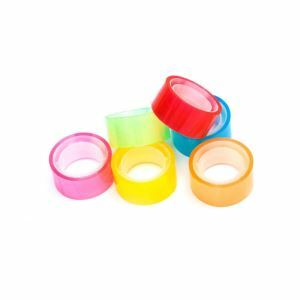 BOPP Packaging tape, BOPP Jumbo Roll, Masking tape, Double-sided tape, Stationery tape, Warning tape, Kraft paper tape, insulating tape, Luminous tape, Laser Adhesive tape and other materials, are environmentally friendly materials. Professional to provide tape customization services, if you need, please contact us. EO Adhesive Tapes, widely used in packaging, sealing, industrial, transportation, personal life and other aspects. We work with leading worldwide manufacturer of adhesive tape such as 3M, Tesa and so on. We work with leading worldwide manufacturer of adhesive tape such as 3M, Tesa and so on. We have been resolved adhesive, insulation, shielding, protection, sealing and packaging of the most complex issues, Get a good reputation. Our product range includes more than 200 different tapes that can help you solve any problem. Development of the industry requires modern technical solutions, new materials, opportunities for weight reduction and a simple way to install. Today, many areas of the tape business use, and involved in the production process. We will help you choose the necessary technical performance of its products and production size in any form and definition. You will be able to reduce production costs and improve the quality of your product. Our sales representatives are professionally trained to ensure the perfect service for our customers. We bring to revolutionary packaging industry work culture to our customers through first-class adhesive solutions and technologies. We provide reasonable packaging according to the needs of customers, to ensure the integrity of the product transport process, responsible for the effective exchange of freight forwarding, the product will be promptly delivered to the destination.